Shadaleen Holt Garrison passed away peacefully Sunday, March 11, 2018, at her daughter's home surrounded by her children and grandchildren in Morristown, TN. She lived a life full of love and compassion for those around her, and she is loved by many in return. She was born on September 14, 1939 in a home birth in Newport TN to Aaron and Zora Holt. The fourth of ten children, she spent most of her childhood in East TN. Throughout her teen and young adult life, she lived in Southern New Jersey where she met her husband, Jeffrey Garrison, whom she married in 1958. 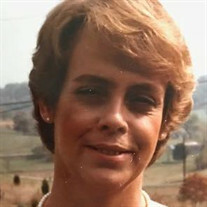 They were married for 35 years and had three children: Earl Wesley (Garry) Garrison, Mary Diane Garrison, and Jeffrey Blair Jr. She moved back to TN in 1972: first to Morristown, where she lived for 13 years, and then returning to her childhood home of Newport, where she lived for the rest of her life. For 20 years, she made a life with John Coburn. She was a professionally trained waitress and worked as a server throughout her adult life in New Jersey and in Tennessee for the Angelos family at both the Little Dutch and Angelos Restaurants. She loved her work and her family. She enjoyed listening to old country music (like Loretta Lynn and George Jones), caring for her animals, taking walks in the hills around her property, and sitting and visiting with friends and family with a cup of coffee in her hands and a piece of cake or cookie nearby. She is preceded in death by her parents, her son, Jeffrey Blair Garrison Jr., her brothers, G.D (Bud) Holt and Doyle Holt, and sister, Marilyn Atkins. She is survived by her children Mary and Garry Garrison; her son-in-law Willie Kim; her grandchildren, Malia and Jordan Kim; her sisters, Louise Holt, Bolena Holt, Corinna Holt, and Lorraine Holt Gordillo; and her brothers, Bobby and Kenneth Holt. She had 35 nieces and nephews and a score of great nieces and great nephews. She was cherished by all who knew her. Receiving of friends will be held at Mayes Mortuary, 444 West Main St in Morristown from 6pm to 8pm and on Wednesday from noon to 1pm. Funeral services will be held at Mayes Mortuary on at 1pm followed by a small graveside service at Liberty Hill Baptist Church and a gathering at her sister's home at 3:30 pm at 398 McCowan Creek Rd. Newport, TN. All are welcome to come and remember her and to celebrate her life.